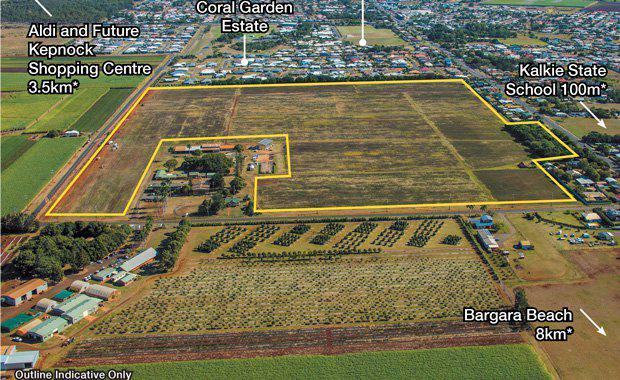 A substantial development site the eastern growth corridor of Bundaberg in Queensland’s Wide Bay region is being offered for sale by Ray White Special Projects (Qld). The approximately 29.5ha site at 28-54 Ashfield Road, Kalkie, is being marketed via Expressions of Interest by Andrew Burke and Mark Creevey of Ray White Special Projects (Qld). Mr Burke said the property is approximately 5.8km from the Bundaberg CBD and is adjacent to high quality residential estates and close to local schools and shopping centres. He said the Bundaberg region is set to benefit from a number of key commercial, retail and industrial projects. 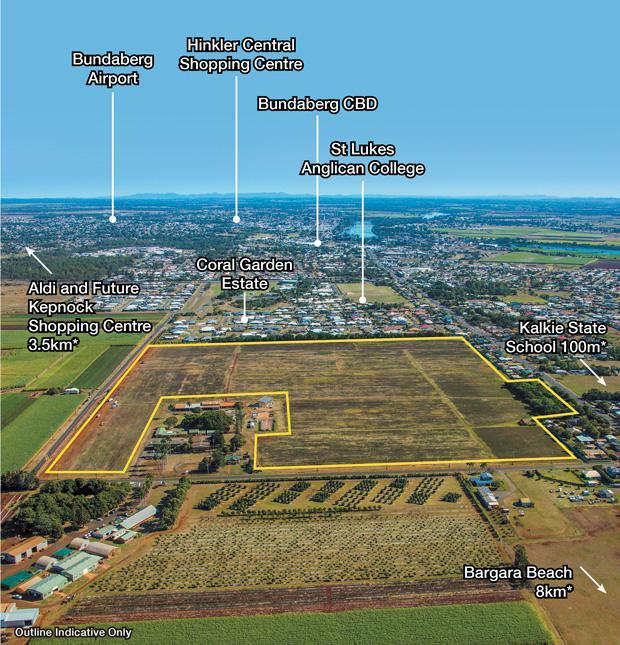 “These projects have the potential to provide an increase in demand for residential housing and associated activities in the Bundaberg region in the future,” Mr Burke said. Mr Creevey said among the projects that are boosting economic activity in the region is the 28.5km Bundaberg Port Gas Pipeline. “The pipeline will support the development of the new $70 million Knauf Plasterboard facility and create opportunity for other substantial investment in business and industry in the Bundaberg Port precinct,” he said. Expressions of Interest close at 4pm (AEST) on Wednesday, July 27, 2016.